We had such fun reading Mini Grey's stories. 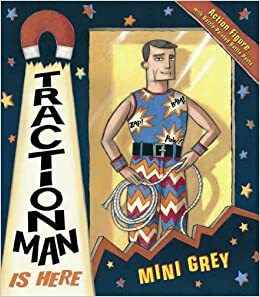 We looked particularly at a collection of books featuring the character Traction Man and his trusty companion- Scrubbing Brush! We loved how she personified household objects as characters in her entertaining, adventure stories.